Custom Air Products & Services, Inc. (CAPS), a leading commercial and industrial heating, ventilation, and air conditioning (HVAC) company, is proud to announce record first quarter results for its Mechanical Field Services division. 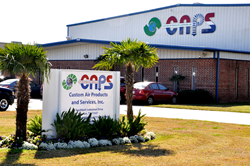 CAPS is a leading commercial and industrial heating, ventilation, and air conditioning (HVAC) company headquartered in Houston, Texas. In spite of an economic downturn in the oil and gas sectors, historically some of our biggest customers, the growth of the MFS division accelerated during the quarter to produce record results and cross a major company milestone. Custom Air Products & Services, Inc. (CAPS), a leading commercial and industrial heating, ventilation and air conditioning (HVAC) company based in Houston, Texas (US) today announced record results for its Mechanical Field Services division for the first quarter of 2016. Sales for the division for this period were 20.5% higher than any other quarter in the company’s history. Custom Air Products & Services, Inc. specializes in providing HVAC products and services to commercial and industrial sectors. It manages this full slate of offerings by implementing a three-pronged business approach. The Fabrication and Manufacturing division (FAB) focuses on the design and construction of a wide slate of industrial and commercial products. They also provide electrical design and construction, paint and custom coatings, explosion-proofing and modifications to existing equipment. The HVAC Service division (ACS) provides on-site services, repair, and maintenance for all types of commercial and industrial equipment. In addition, this division provides services such as filter replacements, coil, ventilation, and duct cleaning, and man-in-attendance services for area industrial complexes. The third division, Mechanical Field Services (MFS), focuses on product installation. These services include custom sheet metal ductwork, HVAC system retrofits, system renovations, equipment start-up and commissioning, and includes engineering design capabilities as well. Together, the three divisions operate very differently, but in an integrated way that provides a full slate of products and services to customers.